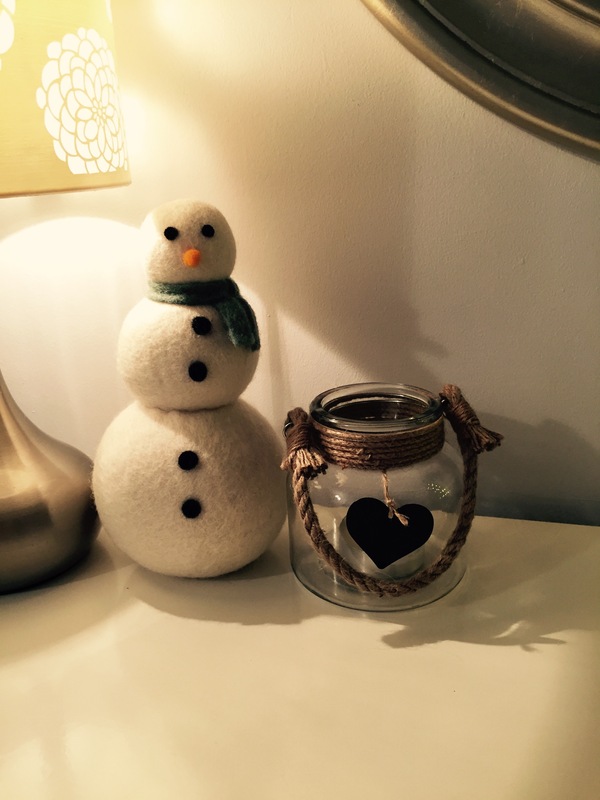 Christmas has arrived at our tiny house and I am enjoying every bit of it… well trying to actually. I’m not feeling as well as I’d like but have been assured that it’s all to be expected. 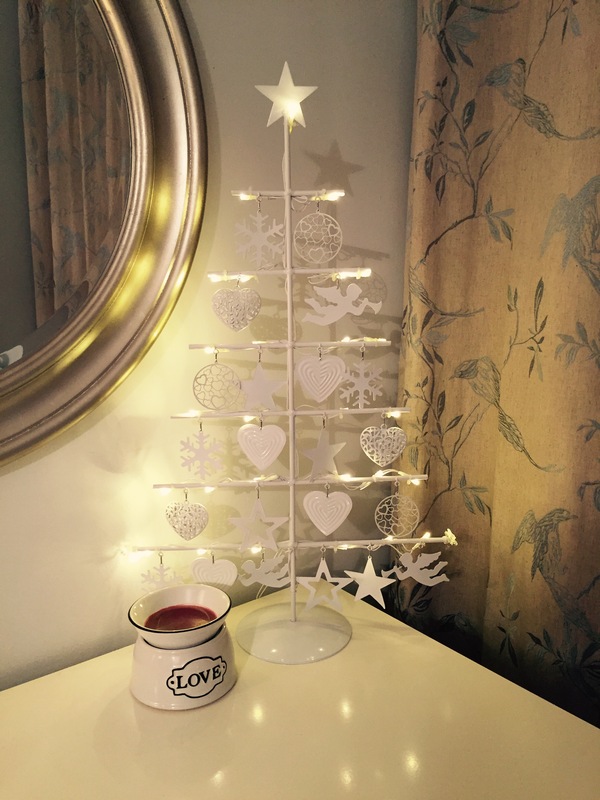 I’ve been aiming for ‘Christmas’ since June, hoping to feel better, so now it’s here I’m not quite sure what to do. I’ve been reminded this year that life is short, life is fragile and your ‘next Christmas’ is not always guaranteed so I’m throwing myself into it as much as I can. 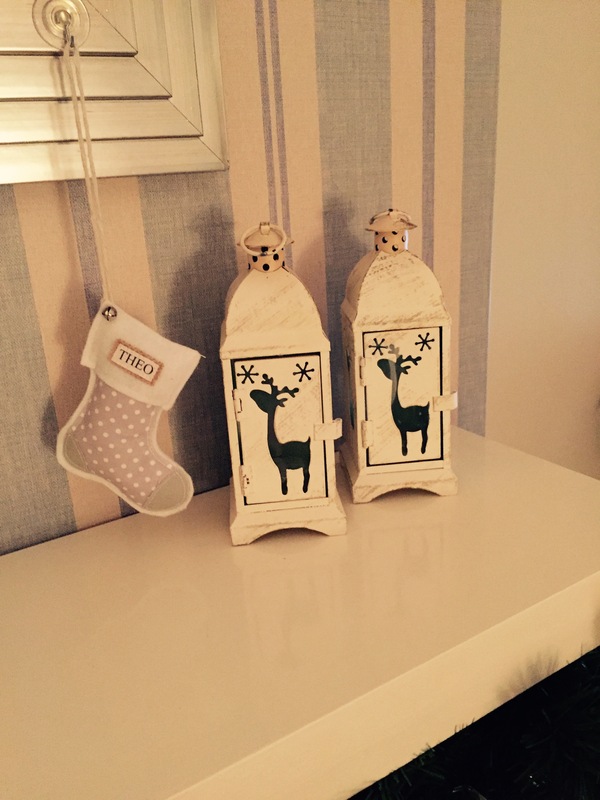 Starting with our decorations! 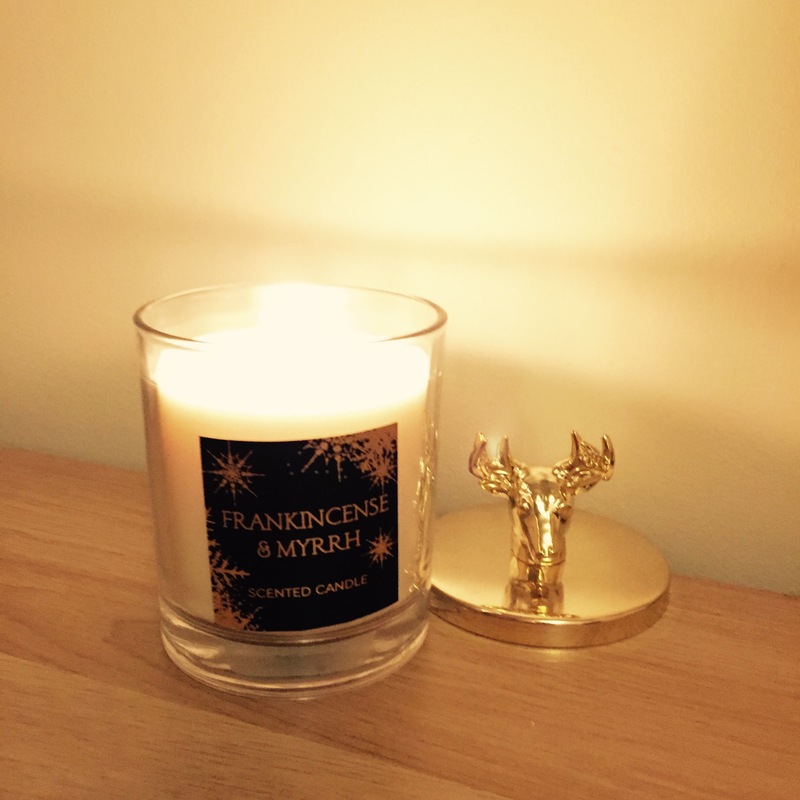 Another M&S number, I love LOVE the smell of this Frankincense and Myrrh candle, it makes the whole house smell amazing! 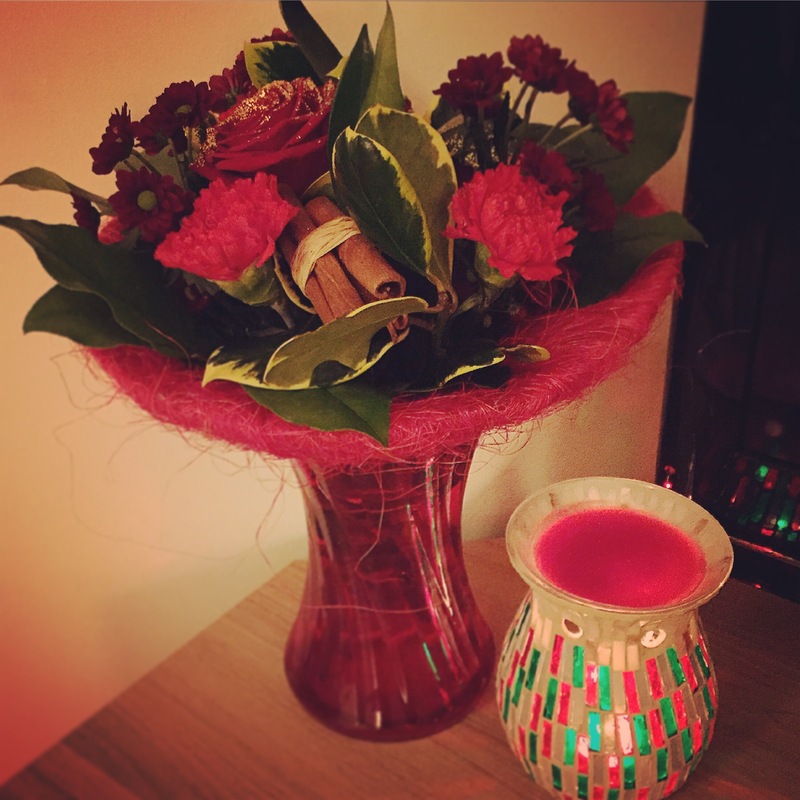 Had these beautiful flowers arrive as a total surprise and I’m over the moon with them! 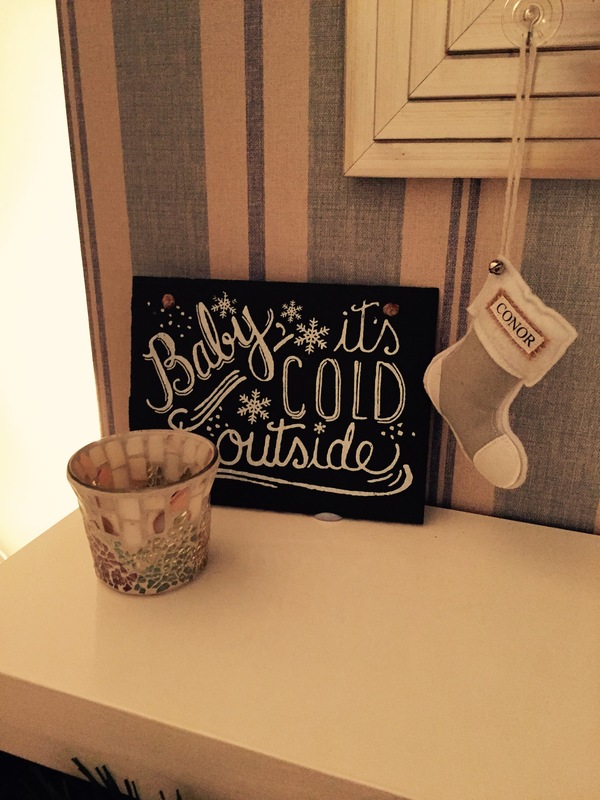 This sign was a total bargain from Matalan and I think it’s super cute! 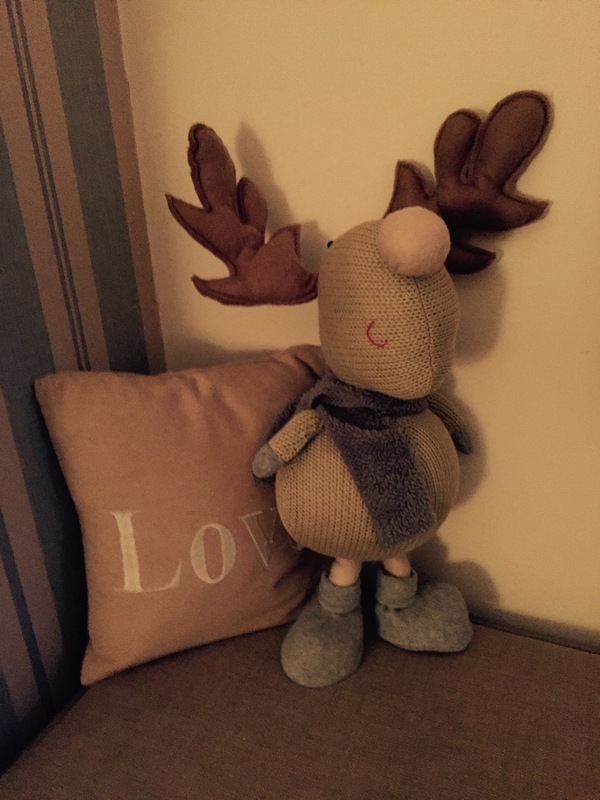 These are years old from Dunelm, and I love that they shine little reindeer shapes onto the wall. This guy is from Hillside Garden Centre, I just love his expression! Mum discovered this in B&M Bargains of all places! I’ve seen them in other stores but this one is definitely the nicest (and the cheapest too!) I love my scentsy burners and I’m warming Autumn Sunset, which to me is a real winters scent. 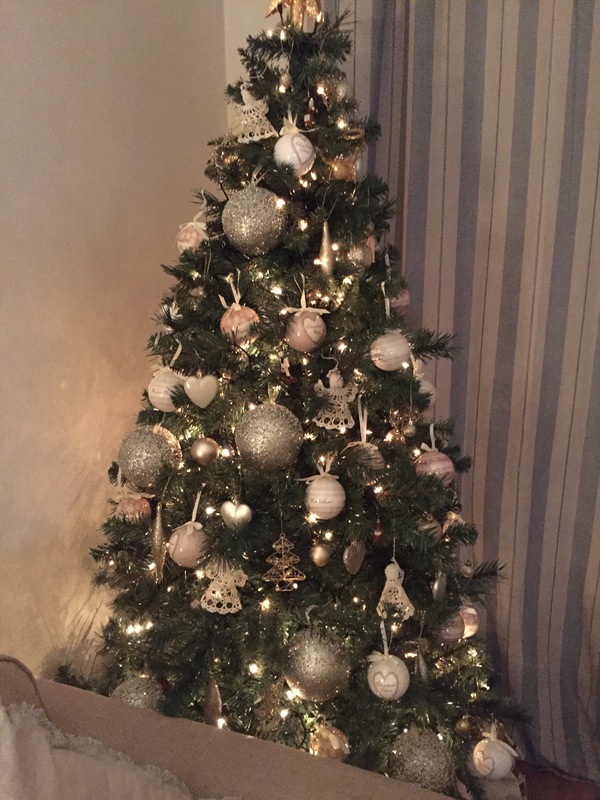 I love sitting in the evenings with the Christmas tree lit, a nice glass of red wine and a few cheesey Christmas tunes. We’ve seen Santa TWICE already, once at our church fair and once at mums and tots. Going to see him again on Friday in the beautiful Mount Stewart and we’re all very excited (mostly me). Looking forward to trying out a few Christmas recipes next week too. Christmas with a 3 year old is amazing, and I can’t wait to see what the rest of December has in store!